A seminar open to public at the ADAMS Center in Sterling, VA. Thank you to all who made it possible for us to hear the commentaries of the speakers as they explored this enlightening wisdom. Shaykh ibn Ata’Illah (d.708h/1309ce) was the third khalifah of the Shadhdhuli School, his teacher being Shaykh Abul Abbas al Mursi, khalifah of Shaykh Abul Hasan as Shadhdhuli. He was a Maliki faqih who became responsible for systematizing the teachings of his two predecessors who did not leave any written works. Al-Hikm is his most famous work, being a collection of aphorism which are the pure pith of the Shadhdhuli teachings on the ceasing of self-direction and total reliance upon Allah as the Planner of one’s life. Or read the dars: download pdf. 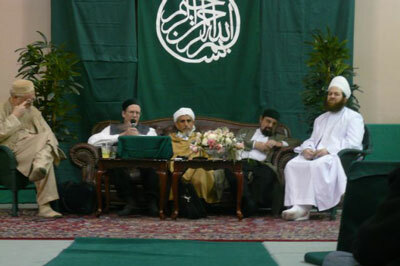 Speakers: Shaykh Nooruddeen Durkee, Dr. Abdel Hadi Honerkamp, Shaykh Ahmad Kat’ani, Shaykh Ahmed Abdur Rashid, Shaykh Muhammad bin Yahyah al-Ninowy . See bios below. Shaykh Ahmed Abdur Rashid is the khalifa of the late Hazrat Azad Rasool (may Allah’s blessings be upon him) of New Delhi and an authorized teacher of the Naqshbandiyya, Mujaddadiyya, Qadriyya, Chishtiyya, and Shadiliyya Sufi Orders. He has applied the essence of Islam and Tasawwuf to contemporary issues for more than thiry years through programs in education, leadership training, sustainable development, peace building, and cross-cultural relations. 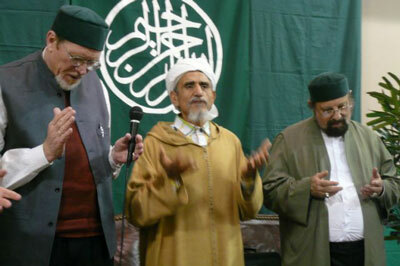 Khalifa in North America for Shaykh Ibrahim al-Battawi, professor emeritus in the Faculty of Islamic Philosophy at al-Azhar University, he is an author (Orisons of the Shadhdhuliyyah), translator and transliteration (the Tajwidi Quran), teacher (the Islamic Study Center, Charlottesville, VA) and architect (Dar-al-Islam Foundation, Abiquiu, NM). He is the Imam and Kateeb for a number of masajid and is known in his khutbas for his command of both current events and daily problems and for his ability to relate them to the teachings of the Qur’an and the Prophet, peace and blessings be upon him. Teaches Modern Standard Arabic as a second language and in-depth textual study for advanced students at the University of Georgia. He is involved in writing and research in Arabic manuscripts in the fields of Islamic Law and the integral relationship of Shariah and Sufism. He is the graduate of the Al-Qarawiyine University of Morocco, with a Master’s degree in religion from the University of Georgia and PhD from the University of Aix-en-Provence, France. He has studied in many lands including years in the Northwest Frontier of Pakistan. Born in northern Sudanese village, he studied Islam under African Sunni scholars, including his father. 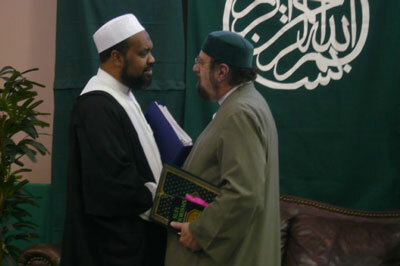 He immigrated to the U.S. in 1987, and in 1997, became imam of the ADAMS center (All Dulles Area Muslim Society). He is known for his progressive views, concentrating on children and young people and the problems of growing up and living in American society. His center is very active in education, family counseling and community life. He is also vice-president of ISNA. Shaykh Ahmad Salem al-Katt’ani is a descendant of Imam Hassan bin Ali (Allah be pleased with him). He comes from a scholarly family and is considered the most senior Hadith and Tasawwuf scholar in Libya. 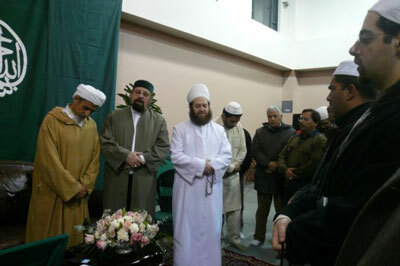 He established the first school in Libya to teach the sciences of Hadith in 2004. 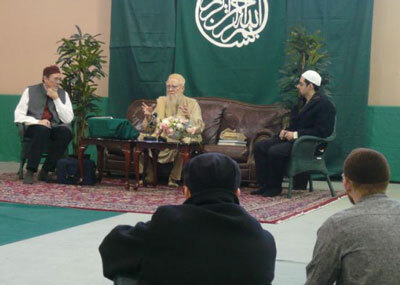 He established “Monaret of the Sahaba” school in 1994, and the magazine “The Perfect Role Model” in 1998. He is the member of the scholarly scientific council of Egypt since 1997. He has authored tens of books in the field of Hadith, tasawuff and other sciences. 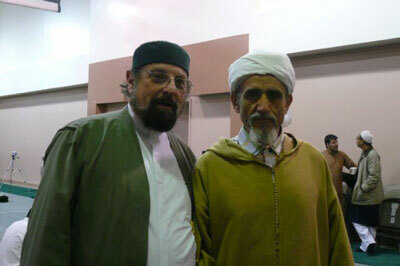 Shaykh Ahmad Salem al-Katt’ani is one of the teachers of Sidi Mohammad bin Yahya an Ninowy. One of the few true ‘ulema in America, he grew up in Syria, studied at al-Azhar Sharif University, Faculty of Usool-uddeen and then at the feet of many great scholars including the Ghumari brothers and other teachers in Syria, Fez, Egypt, Sudan and Jordan. He is the imam of al-Madina Masjid in Atlanta, and is much in demand as speaker, author and lecturer in Europe and the United States.